In a farewell speech, Kerry laid out a vision for peace that he won’t be in office to implement, but that the U.S. hoped might be heeded even after President Barack Obama leaves office. He staunchly defended Obama’s move last week to allow the U.N. Security Council to declare Israeli settlements illegal, the spark that set off an extraordinary and deepening diplomatic spat between the U.S. and its closest Mideast ally. ‘‘If the choice is one state, Israel can either be Jewish or democratic, it cannot be both, and it won’t ever really be at peace,’’ Kerry said in a speech that ran more than an hour, a comprehensive airing of grievances that have built up in the Obama administration over eight years but were rarely, until this month, discussed publicly. Netanyahu pushed back in a hastily arranged televised statement in which he suggested he was done with the Obama administration and ready to deal with President-elect Donald Trump, who has sided squarely with Israel. The Israeli leader faulted Kerry for obsessing over settlements while paying mere ‘‘lip service’’ to terrorism and incitement of violence by Palestinians. ‘‘Israelis do not need to be lectured about the importance of peace by foreign leaders,’’ Netanyahu said from Jerusalem. President-elect Donald Trump can ameliorate the effects of the move immediately upon assuming office. As of late Wednesday, Trump had not responded to the volleys between the outgoing administration and the Israeli prime minister. He did, however, make general remarks concerning the U.N. to pool reporters outside Mar-a-Lago. It was unclear what impact Kerry’s speech, coming in the final days of the Obama administration, might have. The diplomatic fracas erupted last week when the U.S. abstained from a U.N. Security Council vote to call Israeli settlements in the West Bank and east Jerusalem a violation of international law. Israel was incensed, and on Wednesday, Netanyahu claimed Israel has ‘‘absolute, indispensable evidence’’ the U.S. actually spearheaded the resolution. Kerry, in his speech, broke sharply from longstanding U.S. policy that foreign powers shouldn’t impose a solution by unveiling a six-part outline of what a future peace deal could look like. The outline tracked closely with principles long assumed to be part of an eventual deal, and Kerry insisted he was merely describing what’s emerged as points of general agreement. He invoked the widespread concern that the growing Arab population will eventually make Jews a minority in Israel, creating a democratic crisis for Israel unless there’s a separate Palestinian state. ‘‘The settler agenda is defining the future of Israel. And their stated purpose is clear: They believe in one state,’’ Kerry said. While Israel’s Arab population has citizenship rights, the roughly 2.5 million Palestinians living in the West Bank do not. Israel controls their ability to move, they can be subject to Israeli military law and they do not have a right to vote in Israeli elections. Kerry said a future deal would have to ensure secure borders for Israel and a Palestinian state formed in territories Israel captured in the 1967 Mideast war, with ‘‘mutually agreed, equivalent swaps.’’ He said both countries must fully recognize each other, ensure access to religious sites and relinquish all other existing claims. Kerry also called for assistance to help Palestinian refugees. Yet he offered fewer details about how to get to such a deal, given the failure of so many previous attempts, including his own 9-month effort that collapsed in 2014. He urged Israelis and Palestinians to take ‘‘realistic steps on the ground now’’ to begin separating themselves into two states. Lederman reported from Honolulu. 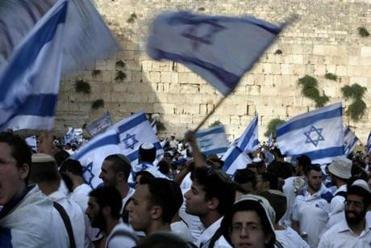 Associated Press writer Daniel Estrin in Jerusalem contributed to this report.